Well it was worth racing twice, even if that wasn't necessarily what either team wanted. A great match this morning in 17 to 20 knot westerlies. The turning point came at the top of the second beat when ETNZ came in from the right and threw a tight lee-bow tack at the BOR team. Instead of tacking away, Jimmy Spithill and JK tried to live there and did a pretty good job of it. 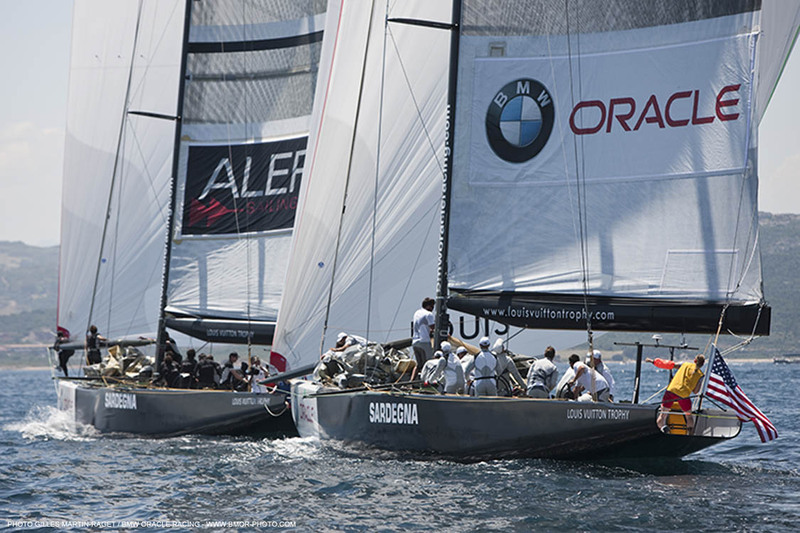 Approaching the mark, but with both boats shy of the layline, Kiwi skipper Dean Barker threw a hard luff at BOR and the Umpires judged BMW ORACLE didn't do enough to keep clear, and issued a penalty. It was escalated to a Red Flag penalty when the Umpires judged BOR gained a controlling position through the foul. Then, to add insult to injury, the first penalty turn, slickly executed in the heavy winds didn't count - the Umpires saying the boat was too close to the mark when they did the turn. So a second turn had to be made - game over. Despite the result it was a cracking match, and no doubt a good exercise for the team as it regains its match racing 'muscle memory'. Unfortunately, it puts BOR in a precarious position on the leaderboard with just one point and only two races left. BMW ORACLE Racing is up against it today. 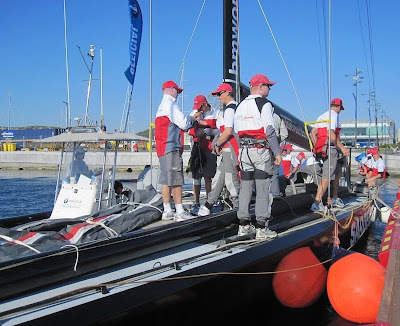 After the redress hearing last night brought no joy, the team now faces Emirates Team New Zealand in a re-sail of the match the team won in controversial circumstances. 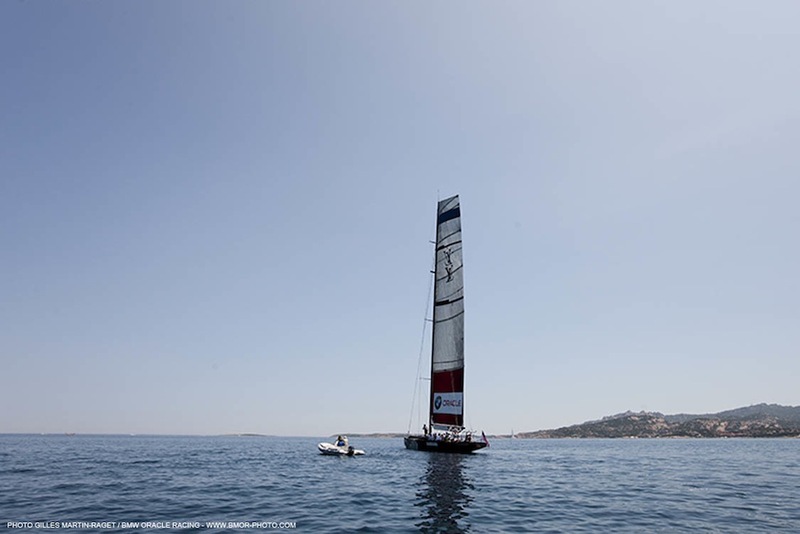 The wind at dock-out time (0810 local) was up near 20 knots and is expected to build throughout the day, putting the schedule at the Louis Vuitton Trophy under more pressure. PRO Peter Reggio is hoping to get at least a couple of flights off before the wind builds too much. This one isn't dead yet. BMW ORACLE Racing will now ask for redress following the Race Committee's decision this morning to abandon Friday's race - won on the water by BOR - and to schedule a re-sail. There will be a hearing after racing today. 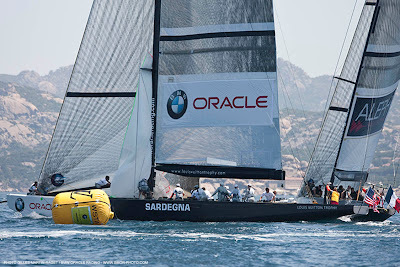 And with no racing starting before 1300, it's getting likely the redress hearing will be the only action for BMW ORACLE Racing in La Maddalena today. BOR is scheduled to race in the sixth match of the day - at this point, PRO Luigi will be lucky to complete five. Friday night's Jury decision wasn't the end of the story in the Emirates Team New Zealand request for redress. 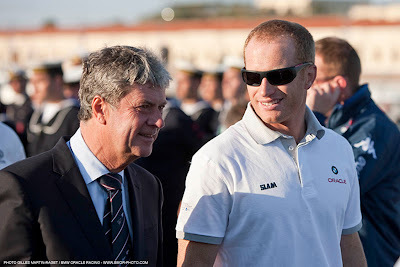 Although the Jury denied redress, it did make a recommendation to the Race Committee that the amendment to the Sailing Instructions under which the Kiwis were penalised was a bad rule. On Saturday morning, the rule was rescinded. Shortly afterwards, the Race Committee decided, 'in the interest of fairness' to abandon the race and re-sail it. There's more on the event website here. And video from Luigi and Chief Umpire Bill Edgerton explaining the situation here. Meanwhile, the wind is very light in La Maddalena this morning. Racing has been pushed back until at least 1100. BMW ORACLE Racing is scheduled to face Mascalzone Latino Audi team, but not until the sixth match of the day. Based on the current weather, it's would seem unlikely that Luigi will get to a sixth match today. The Jury has ruled against the Emirates Team New Zealand request for redress. BMW ORACLE Racing grabs their second win of the Louis Vuitton Trophy in La Maddalena. Light and variable winds have meant a postponement to today's racing. 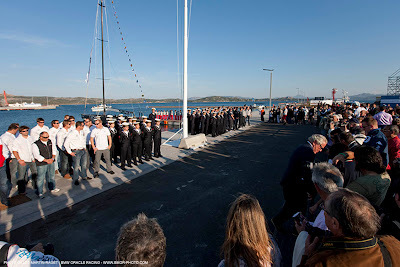 After docking out before 0800, the teams and race boats returned to port mid-morning where they were greeted by an army of local school kids and their parents and teachers. 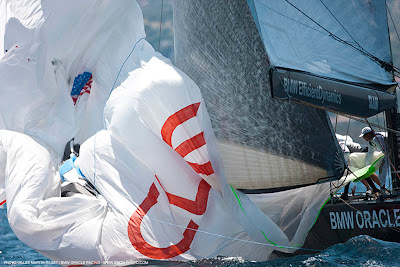 With the wind beginning to fill in, PRO Peter Reggio has called for the teams to come back out to the race area, where hopefully, BMW ORACLE Racing will match up against Synergy and then ETNZ shortly. Scheduling updates are at www.louisvuittontrophy.com. BMW ORACLE Racing is scheduled to race in the first two matches today, beginning at 0900 (GMT+2). First up is the surging Synergy team, who's 3-3 record doesn't indicate how well they've sailed. A couple of those losses are by less than 10 seconds. Then directly afterwards it's a big one against Emirates Team New Zealand. Currently stuck on just one point, the two matches today will go a long way to determining the team's finishing position in the round robin. It's critical to get up towards the middle of the leaderboard, to ensure the team advances through the next stages of the event. 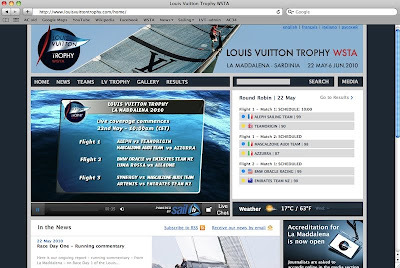 Follow the matches through live animation and commentary on the event website, www.louisvuittontrophy.com. It's a big race coming up for the team. PRO 'Luigi' Reggio has done a masterful job of rolling through the races today, so the match against Luna Rossa should start sometime near 1700 local time (GMT+2). 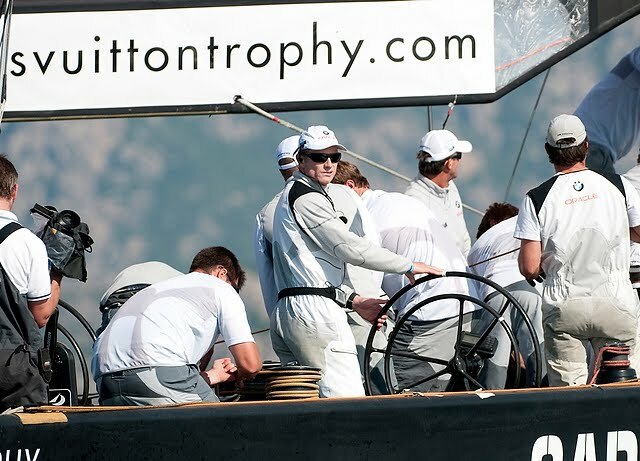 Follow the action through the event website at www.louisvuittontrophy.com. You'll see some familiar faces on Luna Rossa as Matteo Plazzi, Max Sirena, and Simone de Mari have 'come home' to the Italian team. 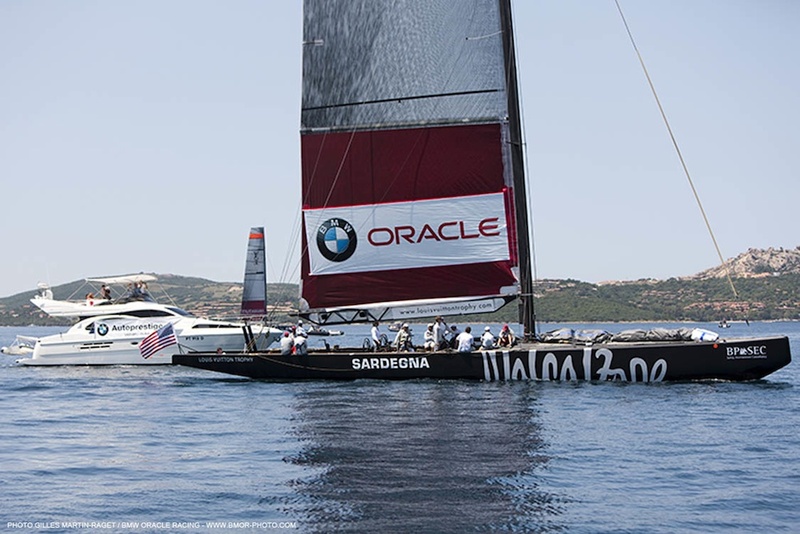 BMW ORACLE Racing will line up against Luna Rossa today, but only if PRO Peter Reggio can pull some magic and race a full six flights of racing today. Look for the race to take place, if it happens at all, late this afternoon in La Maddalena. 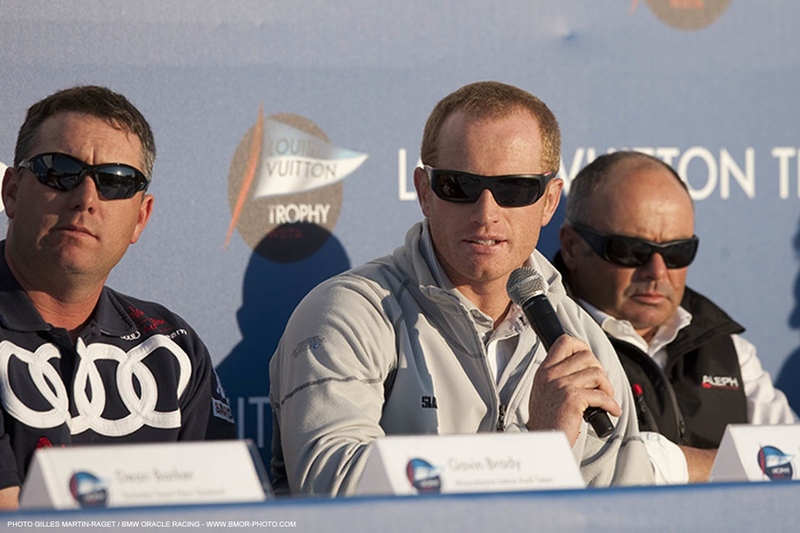 Check the Louis Vuitton Trophy website to see how the schedule is progressing. The team survived a request for redress from All4One last night, which was denied by the Jury, so BMW ORACLE Racing stands at 1-3 in the round robin and deep on the leaderboard heading into today's schedule. 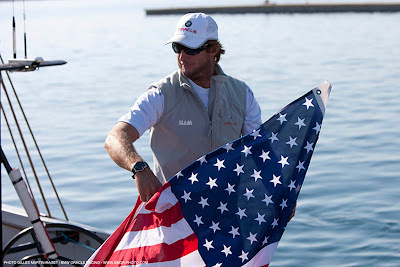 Ian Moore, the new navigator with BMW ORACLE Racing finally has a win to his credit after a good match against All4One. A good come-from-behind victory for BMW ORACLE Racing this afternoon at the Louis Vuitton Trophy La Maddalena. Trailing All4One on the first run, BOR was able to position their boat well during the gybe and roll over the top of the French/German team to grab the lead. We'll try to get more from the guys when they return to base. But it's nice to have a point on the board. 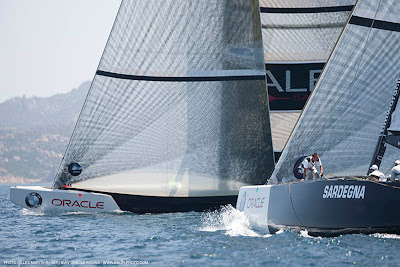 The damage to USA 87 and USA 98 has force the WSTA to re-jig the schedule at the Louis Vuitton Trophy in La Maddalena. On Wednesday, racing was scheduled to start at 0900, an hour earlier than usual, in an effort to complete more racing with just one pair of boats. But the weather hasn't cooperated. Although it's a stunning day in Sardinia, sunny and warm, there isn't much wind. So the Race Committee has held competitors ashore. No warning signal before 1100 local (GMT+2). BMW ORACLE Racing, still looking for its first win, is scheduled to face the All4One squad (2-2) in the third match of the day. If racing starts at 1100, this match will come around 1500. But you can check the event website throughout the day for scheduling updates. Tactician John Kostecki speaks about the challenge of transitioning back from multihulls to match racing ACC boats at the Louis Vuitton Trophy. Bad news for the team's shore crew as both BMW ORACLE Racing boats, USA 87 and USA 98 suffered significant damage during a prestart collision between Aleph and Azzurra. Mark Turner and Wolfgang Chamberlain and co. are hard at work assessing the extent of the damage but it is quite significant. No word yet on when and if the boats will be able to sail again in this regatta. Video on the link below. It's not quite 'must win' territory, but it's getting close for BMW ORACLE Racing at the Louis Vuitton Trophy as they fall to 0-3 with a loss to Artemis in the first flight of racing today. Behind from the start, Spithill and JK held it close for the first lap of the course, but were never able to threaten the Artemis lead. Conditions were fresh with wind in the 12 to 15 knot range. Below is the eloquent match summary from the event website by veteran sailing journalist Keith Taylor. Flight Ten, Race Two: Artemis def BMW Oracle Racing, 00:16 – The start was owned by Terry Hutchinson driving the Swedish boat Artemis. After chasing James Spithill round the start box, Hutchinson led back for a perfect start, at the committee boat end, with Spithill trailing astern by a boat length. 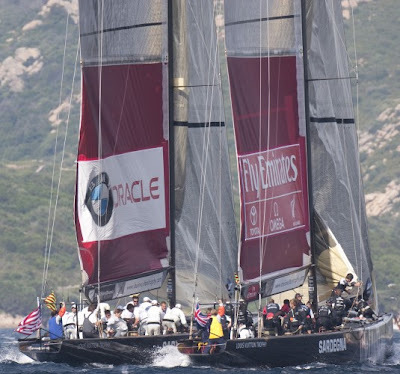 BMW Oracle short-tacked relentlessly all the way up the first leg but Artemis covered and rounded the top mark with a seven second margin. Oracle clung to their rival's transom down the run and the leeward gate margin was still seven seconds. Artemis extended slightly through eight tacks on the next leg as the breeze freshened and gained on the run as Oracle split away in a final futile search for salvation. 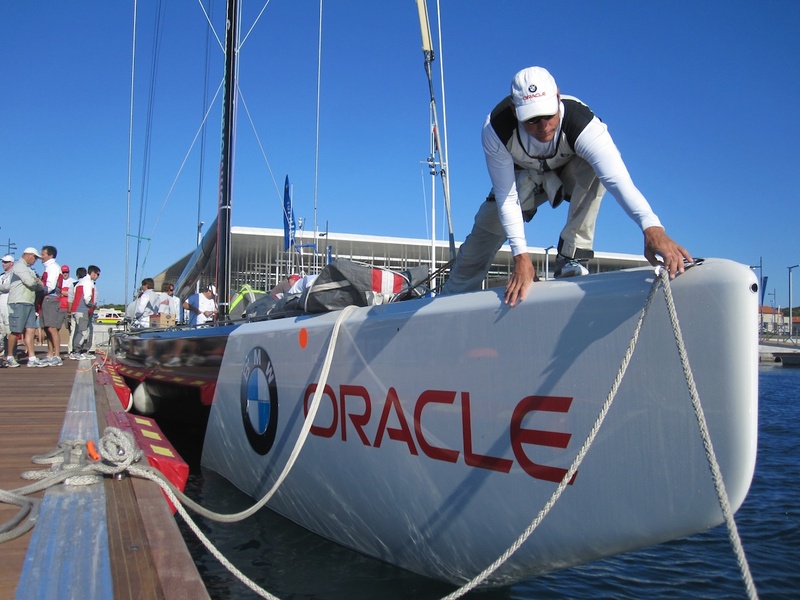 If PRO Peter Reggio can get in extra flights today, BMW ORACLE Racing will line up against Emirates Team New Zealand in the first extra match, which could be a classic. Look for that to happen some time after 1500 CEST (GMT+2). 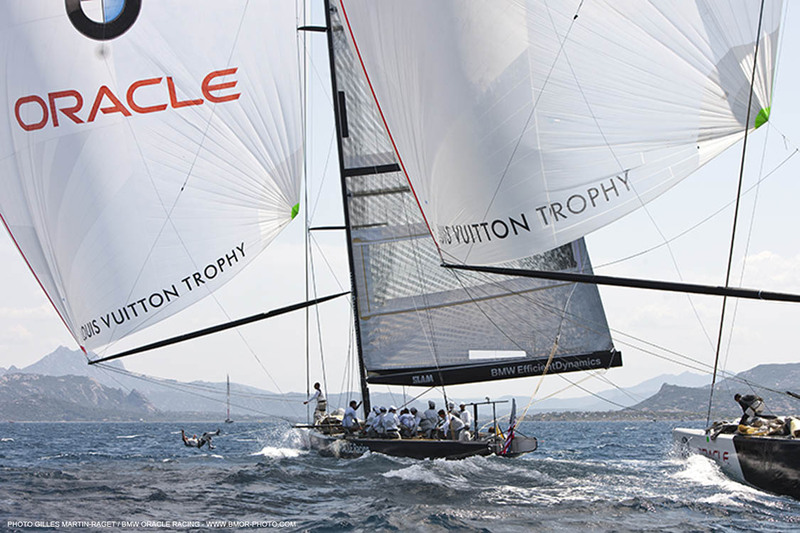 The Louis Vuitton Trophy website will have the match schedule. Let's hope it comes together today for the guys in their match against Artemis. The forecast is for winds up to 18 knots today, so much different conditions to what we've seen to this point in the regatta. 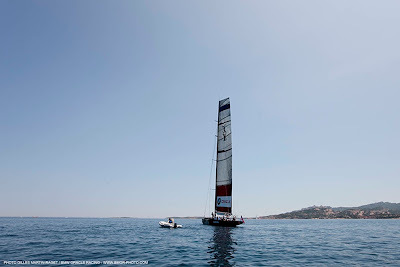 BMW ORACLE Racing sails in the first flight, second match, this morning, against Artemis who top the table with a 2-0 record. With good racing conditions forecast, PRO Peter Reggio will attempt to squeeze in a full five flights of racing today. We'll keep you updated through the day as the schedule evolves. James, JK and co. suffered a tough loss on Monday in their second match at the Louis Vuitton Trophy. The team fell to 0-2 after getting a penalty in the pre-start and trailing TeamOrigin around the length of the race track. The final delta was 1:03 after the guys completed their penalty turn. All the races are being covered with live VirtualEye animation and commentary at www.louisvuittontrophy.com. We're on and now into race two for BOR at the Louis Vuitton Trophy in La Maddalena. 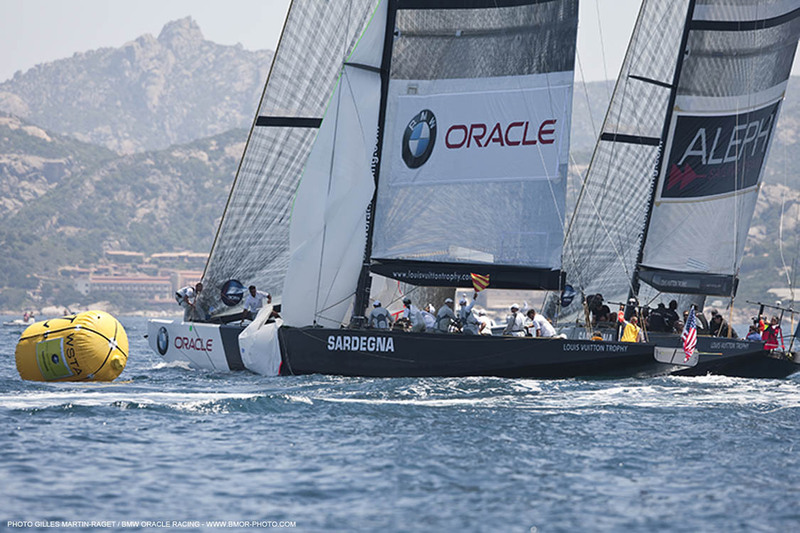 But unhappily, an early penalty to BMW ORACLE Racing in the pre-start against TeamOrigin. You can follow the race at www.louisvuittontrophy.com. A big shift just before they got into the start sequence forces another postponement. Hopefully not too long now. Signs of life at the Porto Arsenale in La Maddalena as the wind comes up. The race committee is reporting the breeze near 10 knots from the Northwest. They're hoping to get a start in at 1500 local time (GMT+2). 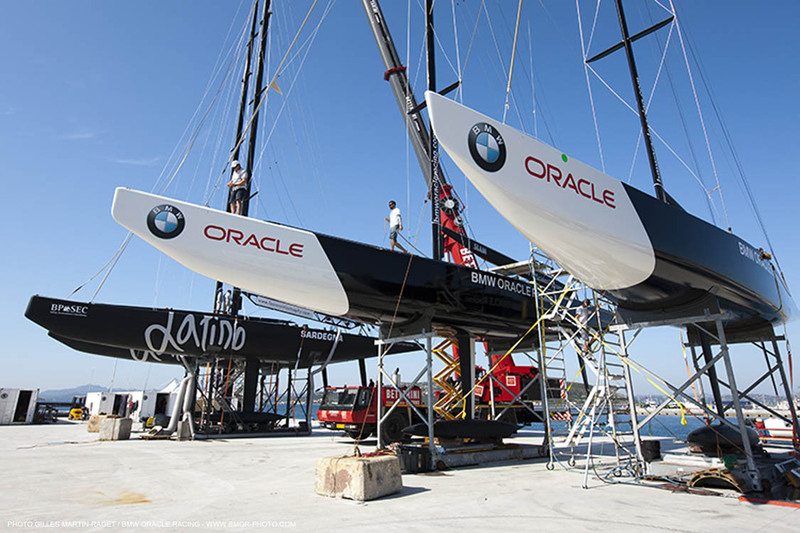 BMW ORACLE Racing is up against TeamOrigin in the first match of the first flight today. Full streaming coverage is at www.louisvuittontrophy.com. Postponement ashore at 0800 this morning with PRO Peter Reggio promising another update at 1000. As you can see in the image below - taken at 0830 - there is no breeze this morning. But there are indications of some wind coming this afternoon. As usual, it's just a matter of wait and see. 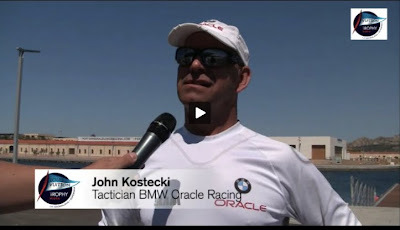 BMW ORACLE Racing is scheduled in the first match of the day against TeamOrigin. But it won't start before 1200. 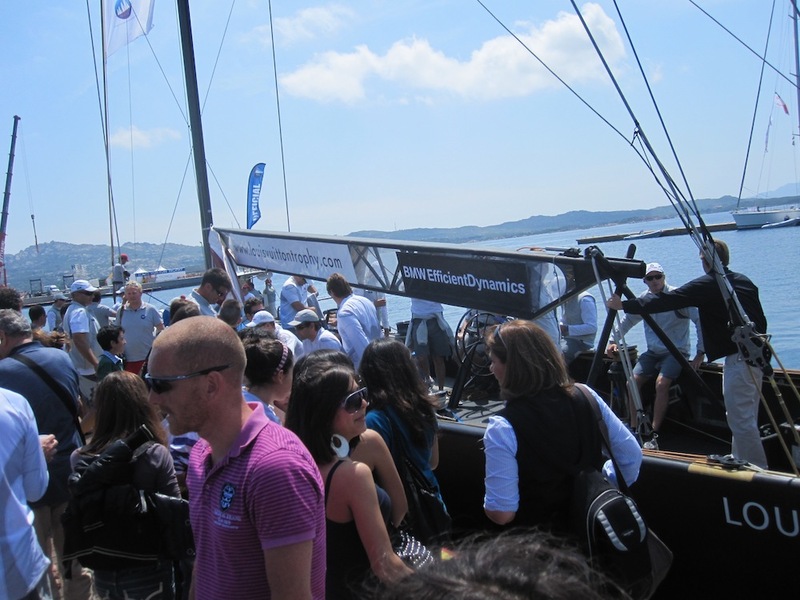 See the video highlights from the Louis Vuitton Trophy La Maddalena here. Once again, we're spoiled by Gilles Martin-Raget who somehow makes a tough loss to the French Aleph team look beautiful. 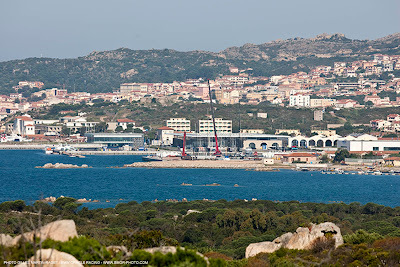 These are from the first race of the Louis Vuitton Trophy La Maddalena. And below is the sequence where Jimmy, JK and co. squeeze inside Aleph to make a short-lived pass at the leeward gate. Unfortunately, in getting inside, BOR was slower coming out of the rounding, and Aleph, holding the power of the right, was able to regain the lead. The French Aleph team is earning a reputation as giant killers and BMW ORACLE Racing became the latest to fall to the surging French team. BMW ORACLE had a good start and led for the first couple of crosses, before switching from the right to the left side of the race track and that gave the French the opening they needed. 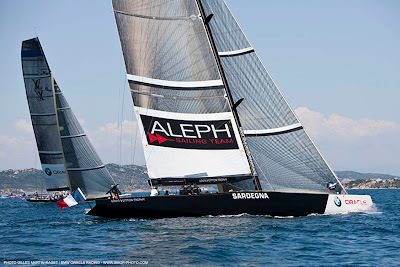 Aleph led by just seven seconds at the top mark and appeared as if they would lead through the leeward gate before Jimmy Spithill and JK found a tiny gap to stick their bow inside at the mark rounding. Aided by excellent crew work on the late gennaker drop, it appeared for a moment as if they had regained the lead, but Aleph remained in control on the right side of the race track and protected the rest of the way. So BMW ORACLE is 0-1 while the surprising French team is on top of the leaderboard at 2-0. There are more postponements now (1430 local), which means it's extremely unlikely we'll get to the 'extra' fourth flight which would have seen BOR vs. ETNZ. That will almost certainly have to wait for another day. Shore crew manager Wolfgang Chamberlain speaks about what he and his crew of 14 have to do to keep the two BMW ORACLE Racing ACC boats afloat and ready to race at the Louis Vuitton Trophy. According to Wolf, it's almost more difficult than during an America's Cup as the sheer number of race-hours is immense (when there's enough wind!). And in the 'rental car' factor of the nine other teams using the boats, and Wolf and his gang have their work cut out for them. A new day, and new optimism for racing. 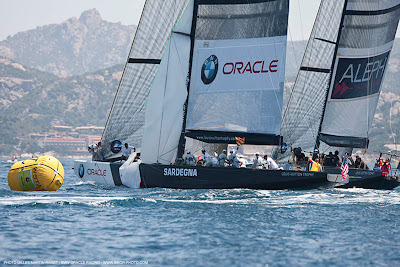 BMW ORACLE Racing is in the first Flight for racing against Aleph who beat TeamOrigin in one of only two matches sailed on Saturday. Racing for BMW ORACLE is scheduled to start with a warning signal at 10:10 local time (GMT+2). Forecast is for light conditions, with winds not expected to exceed 10 knots. Unfortunately, everything co-operated but the wind in La Maddalena today. 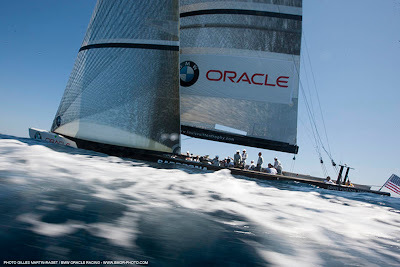 Just one flight of racing was completed with the BMW ORACLE Racing / ETNZ match postponed to another day. Light winds were the culprit on what was a stunningly bright day in Sardinia. The teams were able to transfer to the race boats in anticipation of a start, but got no further as the wind rarely exceeded three knots following the first flight of racing. The schedule rolls on, however, with Flights 4, 5, and 6 on the card for Sunday. 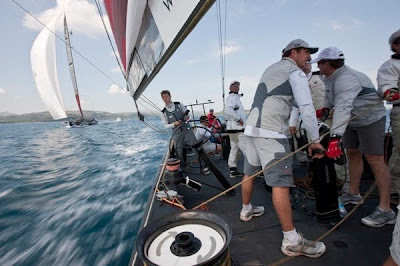 The missed match against Emirates Team New Zealand will be made up whenever the schedule allows. That could be as early as tomorrow, if race officer Peter Reggio can squeeze in a fourth flight of racing. 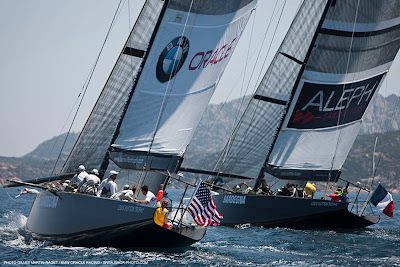 So that means BMW ORACLE Racing is up against the French Aleph team in Flight 4, Match 2. That's the first flight on the schedule, so the warning signal will be at 10:10 local time in Sardinia (GMT+2). 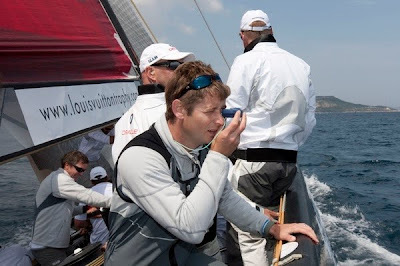 If you're a fan of the team, you'll recognise the skipper of Aleph as Bertrand Pace, who was a training helmsman for BMW ORACLE Racing in the not too distant past. Pace and his team are gaining a bit of a reputation for the upset. Although Aleph was at the bottom of the table in Nice and second to last in the Louis Vuitton Trophy in Auckland, they stunned the Kiwis with a well-deserved win over ETNZ on home waters and they opened with a win over TeamOrigin and their Olympic medal laden crew in one of two matches sailed today. So Jimmy and co. won't be counting their chickens on this one. More on the event website at www.LouisVuittonTrophy.com. Here's what the guys had to say as they left the dock on the transfer RIB this morning. Rosco: "It’s good to get into it with what is basically the top team... they’re a really consistent group and always perform well so we’ll be looking forward to a good race. It should be fun – nothing like getting into it straight away!" Cheese: "I'm looking forward to it – it’s going to be a good race." JK: "We’re ready to race. It looks pretty light today so it’s one of those unpredictable days – it’s going to be a tricky one." 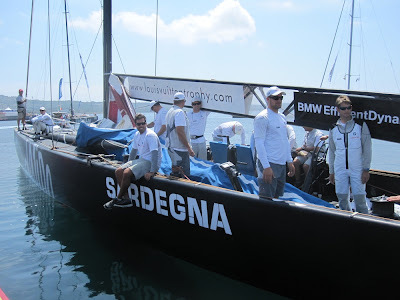 The 18th man for the race against the Kiwis is Massimo Mele, the General Manager of BMW Sardinia. 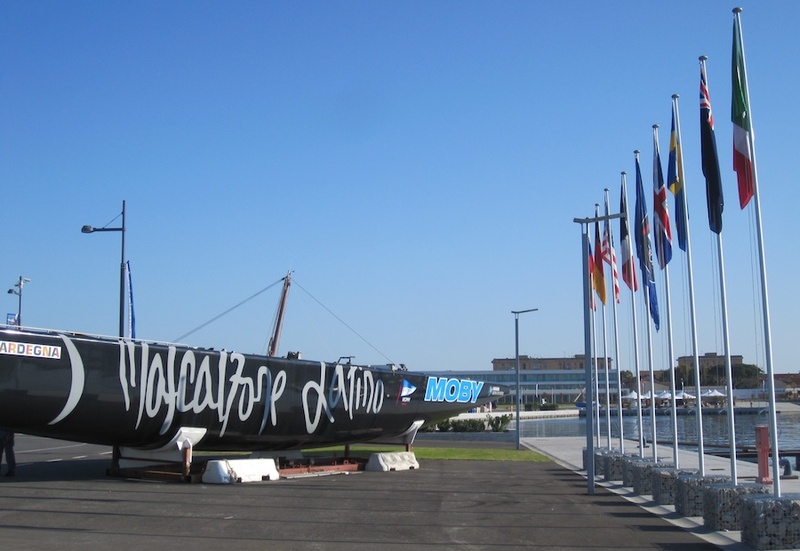 BMW ORACLE Racing will start the Louis Vuitton Trophy La Maddalena with a highlight match against Emirates Team New Zealand. Kiwi skipper Dean Barker spoke to the media about the match following the opening press conference on Friday evening here. 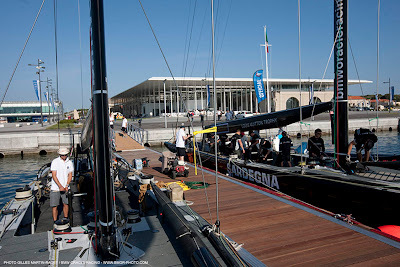 Racing in La Maddalena starts with a warning signal at 10:00 local time (GMT+2). The BOR - ETNZ match is in Flight 2, so look for a start time after 11:00. Check the event website, www.louisvuittontrophy.com for updates. The LVT website also has a live player, with animation and live, expert commentary, so you can stay up to date with all the racing. And of course, we'll have as much from the guys as possible here on the blog too. 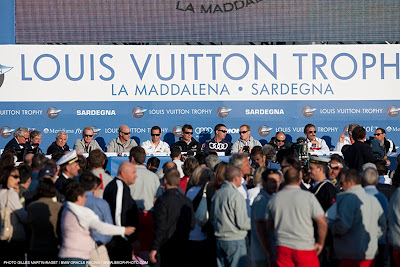 A fantastic opening ceremony for the Louis Vuitton Trophy La Maddalena this evening. 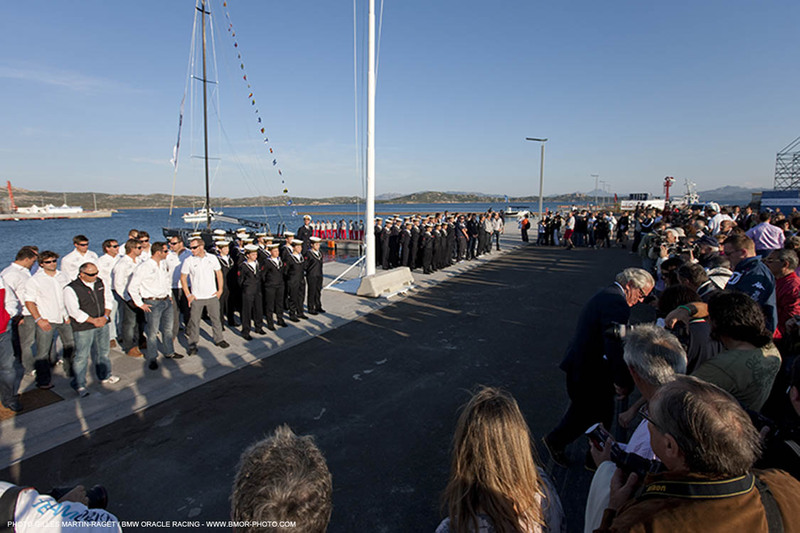 The navy was on hand to open the race village by raising the colours and then the opening press conference with all 10 skippers. On the team rejoining the Louis Vuitton Trophy circuit after missing the Auckland event: "I was down in Auckland to watch the racing and was very, very impressed with the level of the racing. Any team can win the regatta so we have our work cut out for us. We've been sailing a trimaran for the last few years, but we're excited. We have a fantastic team here and we're looking forward to it." On returning to ACC monohulls after racing the trimaran in the America's Cup: "It's a little slower, I won't lie to you, and it's certainly a lot more crowded on the boat! 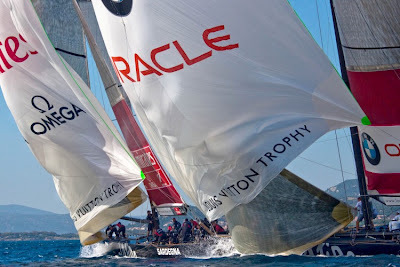 But the style of racing is much more exciting and the physical aspect and the athletic side, having the grinders is an important part of the America's Cup and it's great to be with the teams and out on the water again." The draw for round robin pairings followed and BMW ORACLE Racing has a corker of a first match scheduled - the guys will meet the defending Louis Vuitton Cup and Louis Vuitton Trophy champions - Emirates Team New Zealand. Racing is scheduled to start with a warning signal at 1000 local time (GMT+2) but the BOR vs ETNZ match isn't until the second flight, so likely not before 1100. 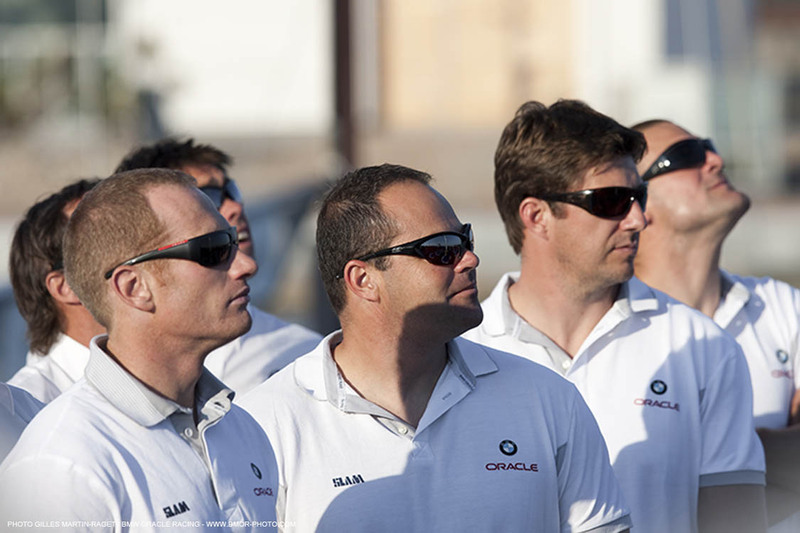 If time permits a fourth flight of races, BMW ORACLE will face Luna Rossa, so the regatta is starting with a bang! 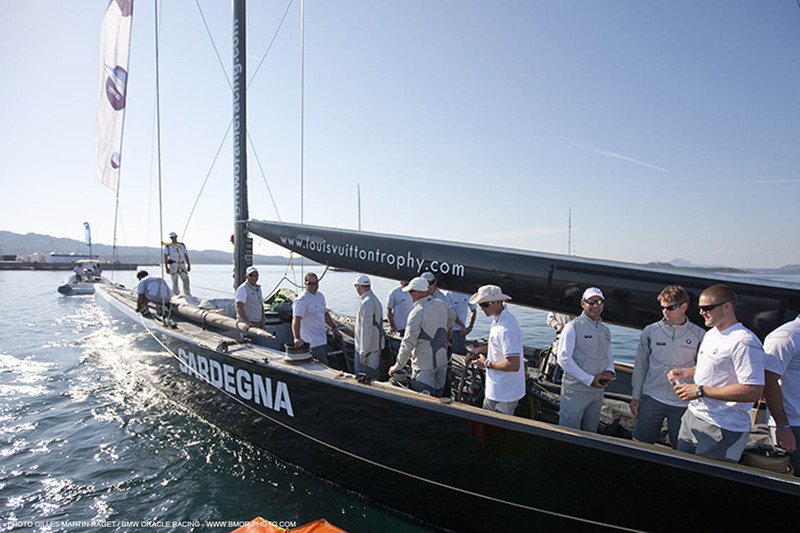 The waters off Sardinia offer a stunning backdrop for the racing in the Louis Vuitton Trophy. 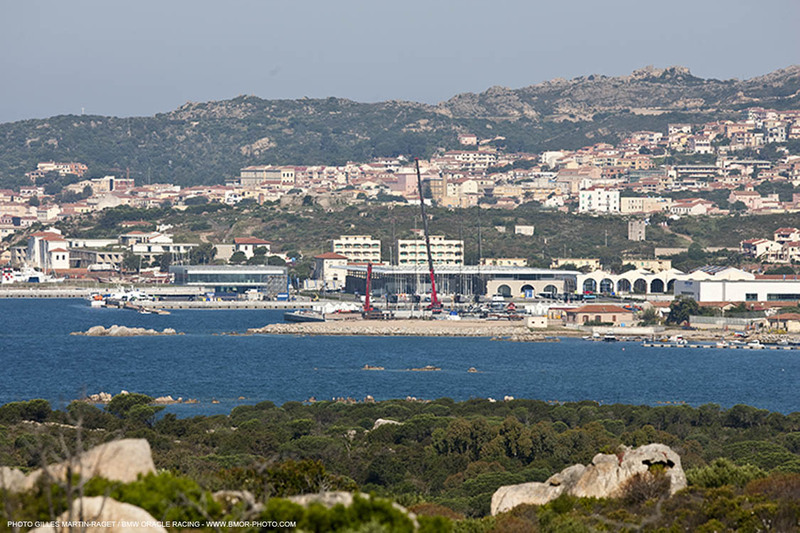 With racing scheduled to begin tomorrow, it's a quiet day in La Maddalena on Friday. No sailing, as the shore crews take the opportunity to give the four ACC boats a final tune up. The opening ceremony and opening press conference will take place this evening, as well as the draw, where the pairings for the round robin will be determined. Here are some of the best images from GMR over the past few days. The team had its final training session on the waters off La Maddalena today, ahead of the first day of racing on Saturday. There were perfect conditions for sailing today, with winds in the 15-18 knot range this afternoon. Bright sunshine and warmth also made a welcome return. 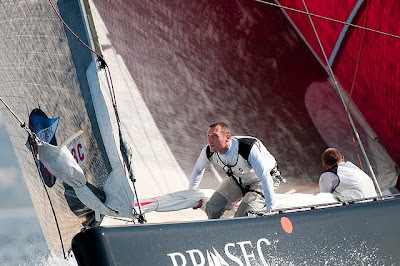 Ross Halcrow, trimmer, tells about the training and the mixed feelings about the return to monohull racing - the close racing is great, but it's a little bit less exciting than sailing USA in the America's Cup. 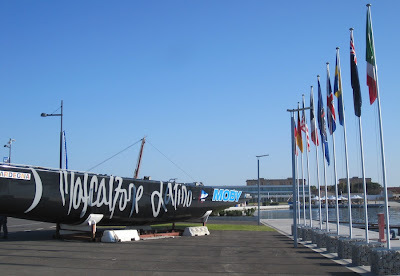 The opening ceremony for the Louis Vuitton Trophy is late tomorrow afternoon, as is the opening press conference for the event. 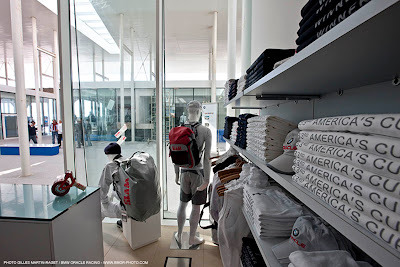 The BMW ORACLE Racing team is ready to return to Louis Vuitton Trophy action in La Maddalena, Sardinia. 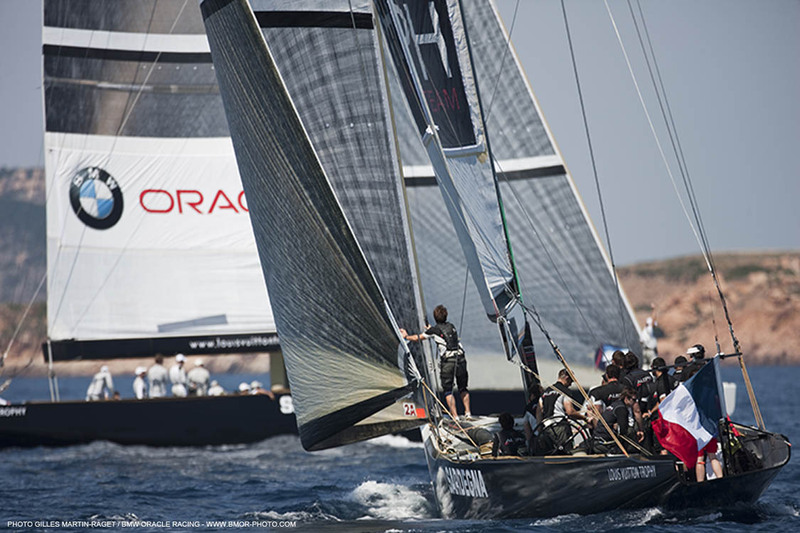 10 teams will battle for supremacy over the two-week regatta, racing off one of the Mediterranean’s most spectacular coastlines. 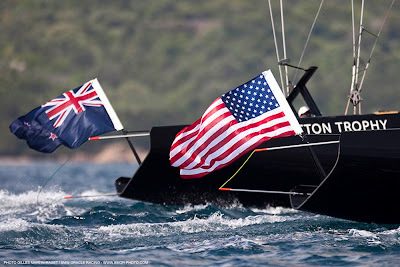 Competing on equalised America’s Cup Class boats (two of which have been provided by the team – USA 98 and USA 87), in Cup style match racing, the Louis Vuitton Trophy provides an important measuring stick for the team as it returns to monohull racing following its America’s Cup win in February. 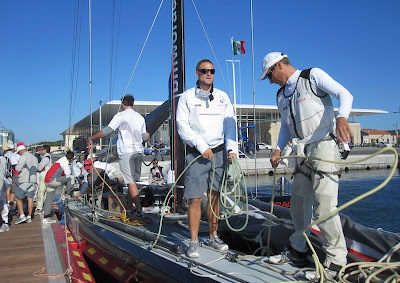 The team racing in La Maddalena features several new faces, including navigator Ian Moore (GBR), who comes to the team after stints with Emirates Team New Zealand and TeamOrigin. Full team coverage will be on the team blog at http://bmworacleracingblog.blogspot.com and there will be live streaming coverage of the regatta at www.louisvuittontrophy.com.